This is my favorite reference book, and I don't want to miss the opportunity to praise it in any possible way. At the first glance, there is nothing very spectacular about the black and blue on white page layout with simple line drawings. The fantastic thing about the manual is that it becomes a real companion to the series, that it picks up all conceivable questions and problems - including some real-world annotations in the footnotes. The other way round, the writers for the series seem to have looked up quite a few things here. The last three seasons of TNG evidently profited from the book. 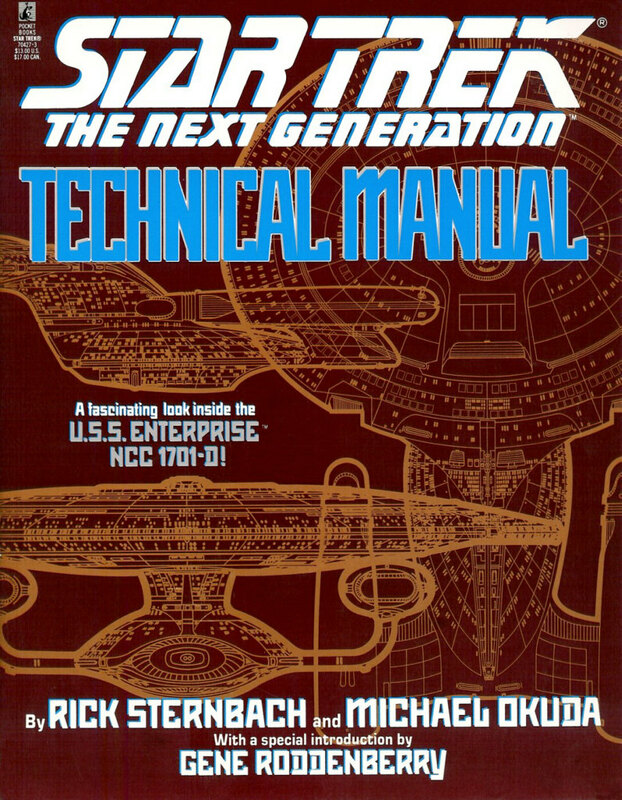 Rick Sternbach's sense for technical correctness (although he's an artist, not an engineer) and Mike Okuda's view for the details make the STTNG Technical Manual as complete and as detailed as it could be. What I like even more is that it makes sense technically and that technobabble can only be found where common sense or real engineering don't apply. It has been criticized that the book doesn't really explain how warp drive, transporter or phasers work. To be honest, even Sternbach and Okuda don't know that! But seriously, in my view exactly this is the most important benefit of the book. What could be the point in explaining the fictional technology on a level where it is impossible to understand (because no half-way workable theory exists) and at the same time easy to disprove (because with some knowledge of real physics one could easily notice that it just wouldn't work)? In other words, the STTNG Technical Manual doesn't impair our ability to suspend disbelief. Furthermore, the book is written like a technical manual for 24th century engineers who operate or service the ship, so I wouldn't expect the very basics to be explained in it anyway. Summarizing, the STTNG Technical Manual may look like a collection of simple technical drawings, but it is a well-considered guide to a great ship. The book is largely free of errors, the only blatant one being that Rick Sternbach accidentally scaled down the captain's yacht's dimensions to only half of what they should be - nothing compared to all what they got wrong in the DS9 Technical Manual (below). 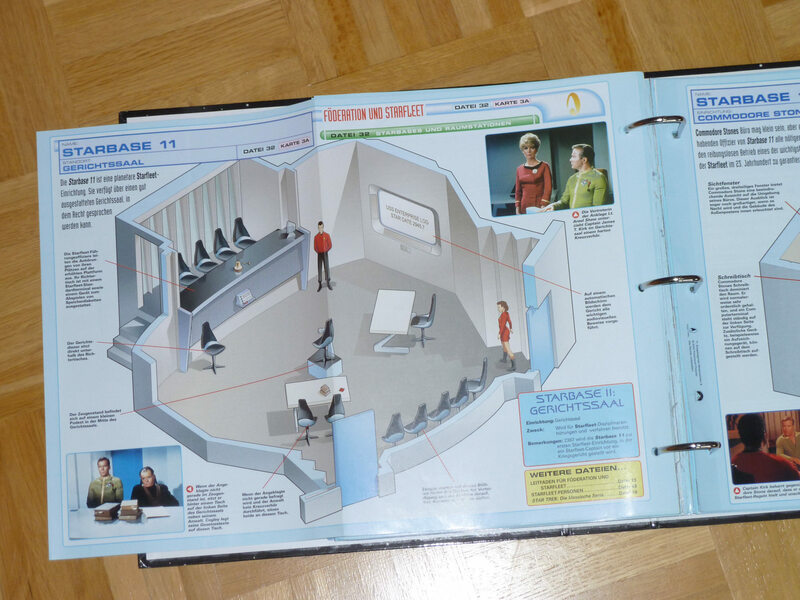 Anyway, for everyone interested in Star Trek technology, the STTNG Technical Manual is a must-have. If you have only the money for one book, this should be it. Buy it! Rick Sternbach, Michael Okuda, Gene Roddenberry (introduction), Star Trek: The Next Generation Technical Manual, Pocket Books, 1991. First off, this book is anything but a disappointment. 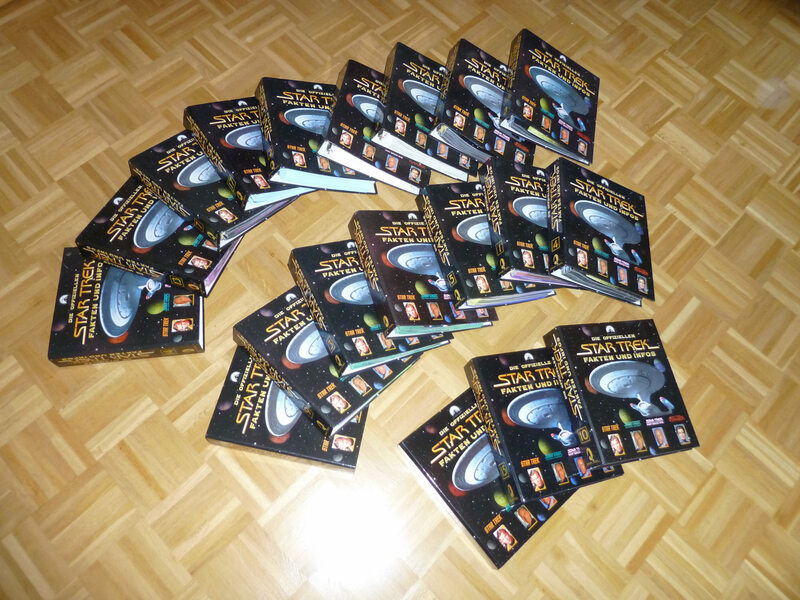 It is a packed with information on the series and its fictional technology from the station's basic layout to things like tricorders and sensor probes. It has great illustrations, mostly rendered in 3D by Doug Drexler and all in color. This is a quite obvious advancement since the above STTNG Technical Manual. One reason why I like the DS9 Technical Manual less than its "sister manual" is that its reliability is lacking. This is in part not the fault of the authors, considering that technical specs and especially the size of the station and of the Defiant were always subject to change throughout DS9. Nevertheless, it is dissatisfactory that none of the size figures given in the book correspond with the schematic diagrams in the same book, the latter of which consistently show a smaller 120m Defiant and a station diameter of at most 1000m. The section on starships is even much worse, since ship types and specs are arbitrarily and hastily made up, sizes of well-known ships are wrong and the Saber and Norway class even have exactly the same dimensions. Considering that many fans who took the specs for their websites didn't even notice the latter error, I may be overly critical, but from an official manual I would expect much more carefulness than that. 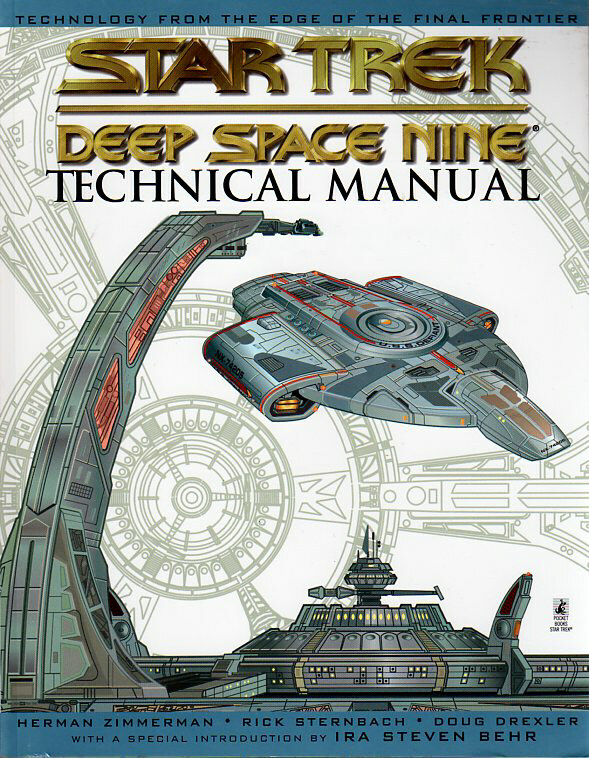 The other point of criticism is that the Deep Space Nine Technical Manual isn't very technical and it isn't useful as a manual. It is rather like prose that has been supplemented with a certain limited amount of technobabble, a couple of size figures and many nice images. It doesn't tend to the technology in such detail as the STTNG Technical Manual, and if it is only shown how to operate it. Summarizing, as a novel the book is rather boring, while it is just not complete enough for a technical manual. Anyway, at least the drawings are great, especially the fold-outs, and most of the book with the exception of the starship section is pleasant reading, so I clearly recommend to buy it. Herman Zimmerman, Rick Sternbach, Doug Drexler, Ira Steven Behr (introduction), Star Trek: Deep Space Nine Technical Manual, Pocket Books, 1998. Although the last edition dates back to 1999 and the online database of Memory Alpha is far more comprehensive and up to date, this is arguably still the most widespread book about Star Trek, and the most important one too. When it hit the book shops, the Star Trek Encyclopedia was the ultimate guide on Star Trek, and I don't think it has lost much of its fascination. Mike and Denise Okuda, Paramount's "canon-keepers" were very diligent and very careful in compiling all important facts from 35 years of Star Trek on screen in one book. Considering the sheer amount of data and considering that the Okudas have other things to do than writing we may easily forgive occasional errors like mislabeled images or misread registries of starships. Moreover, the Encyclopedia is the one and only reference book that strictly adheres to the facts established on screen, and in this regard it is more comprehensive and more detailed than every such attempt by fans. This is why I always defend it against fellow fans who take their nitpicking too far and claim they could do everything better. I have no objections when the Okudas supplements the 99% of hard canon evidence with 1% of good interpolation, such as with starship names that may not have made it to the screen but were used behind the scenes. What I like about the Encyclopedia is that, besides the in-universe content, it has episode references and a good deal of background information too. After all, it is always nice to learn how something was created or if a name is a "tip of the hat" to someone or something in the real world. I'm not quite content with the images many of which should be much larger (which is a matter of the costs, of course). There are also many redundant illustrations. For example, I would rather like to see one big image of the Excelsior class than a small one for each single ship of the class. Anyway, the Star Trek Encyclopedia is a must-have for any fan who wants to have the world of Star Trek in their book shelf and not somewhere on someone else's server. As far as I can tell, much of the content of the Encyclopedia is still not available in the web. Michael Okuda, Denise Okuda, Debbie Mirek, The Star Trek Encyclopedia - A Reference Guide to the Future, updated and expanded edition, Pocket Books, 1999. This is the classic technical manual that inspired a whole generation of fans in the Trek-less time of the 1970's. It is hard to imagine how Franz Joseph could collect all the information and draw all the nifty schematics with ink only, without the help of a computer back in 1975. Showing phasers, communicators, tricorders, floor plans and even uniform patterns in such a great detail, this book is a treasure trove for any TOS fan. It is even more valuable considering that Franz Joseph had access to much of the actual blueprints and props which he transferred into drawings that are often more precise than those of the computer-age technical manuals. Only the quality of his starship drawings is lacking. 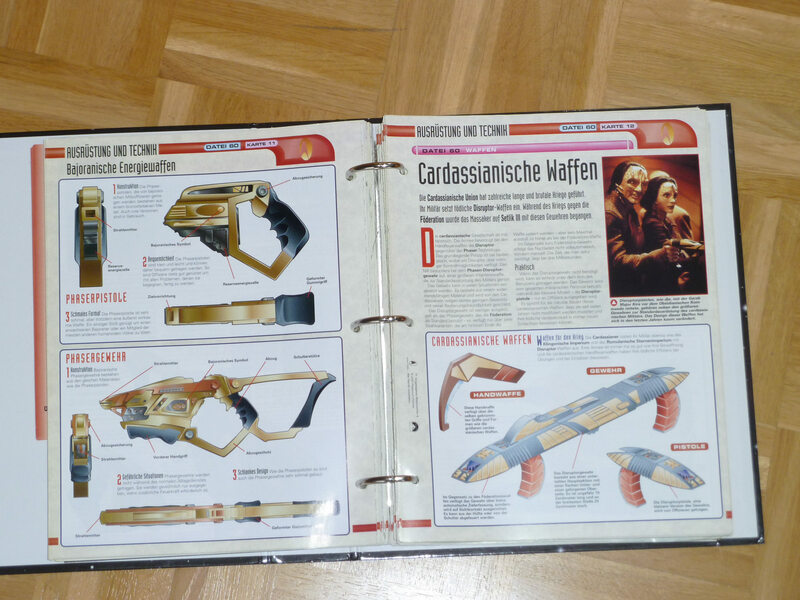 Being a true fan and knowing that the series wouldn't continue (at least not so soon), he carefully supplemented the information on screen with his own creations, such as the Articles of the Federation, flags and emblems of member worlds, a design for an orbital Starfleet Headquarters and his famous starships. This is where some sort of dispute is going on. 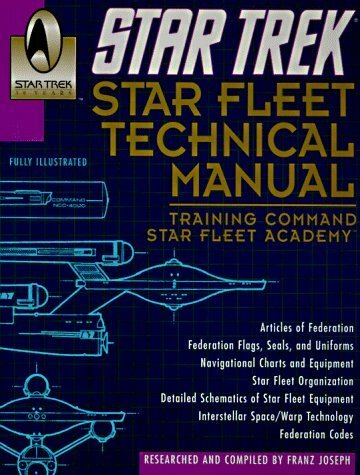 Especially many older fans still regard the Star Fleet Technical Manual as canon, considering that Franz Joseph had Gene Roddenberry's support on it. Some time prior to TNG, they didn't get along with each other any longer, and it is said that Roddenberry intentionally laid out technical specs of TNG so as to disparage Franz Joseph's work - but this doesn't really belong here. If you would like to know more about Franz Joseph's background, please visit Trekplace. Well, while many of the ideas are very good, it is probably too late to regard this whole book as canon, because the speculation in it is already too detailed. Too much of it, such as the location of Starfleet Headquarters or the map of the galaxy, has been contradicted since. Some things, finally, are simply silly, like the electric circuit schematics or the emblem of the alien civilization of 61 Cygni that -what a coincidence- has a swan in it. Anyway, The Star Fleet Technical Manual has more than only nostalgic merits. I was a bit skeptical and I waited a long time until I finally bought it only two years ago, but I wouldn't want to miss it. Franz Joseph, Star Trek Star Fleet Technical Manual, Del Rey, reprint, 1991. This little book is fairly well researched and contains anything one would expect from it. On the other hand, anything canon about the planets of the Trek Universe may be found in the far more complete and systematic Star Trek Encyclopedia as well. Considering that there are already several non-canon mentions (of hotels or restaurants) in it anyway, I wonder why the Travel Guide doesn't go the whole way and strives to render the seemingly underdeveloped (save Risa) tourism in the Star Trek Universe a bit more diverse. The way it is, it can neither convince as very informative nor as particularly entertaining. Some of the (in-)jokes in the book are quite humorous, but many others are just lame. 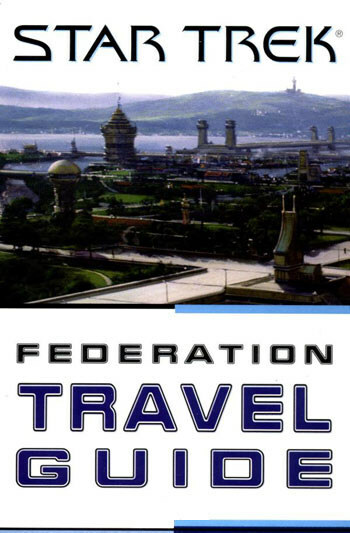 Most images in the Federation Travel Guide are not of very high quality, and the graphic design is very stale for a fun book. Summarizing, it's a thin and inexpensive $6.00 book, but still I would have expected more from it. It may be a gift for a die-hard fan, but nothing that would either create or satisfy particular interests. Michael Jan Friedman, Federation Travel Guide, Pocket Books, 1997. Fans have long been waiting for a reference book like this. The Star Charts by Geoffrey Mandel combines canon facts, some conjecture and real astronomy and astrophysics in a unique fashion. 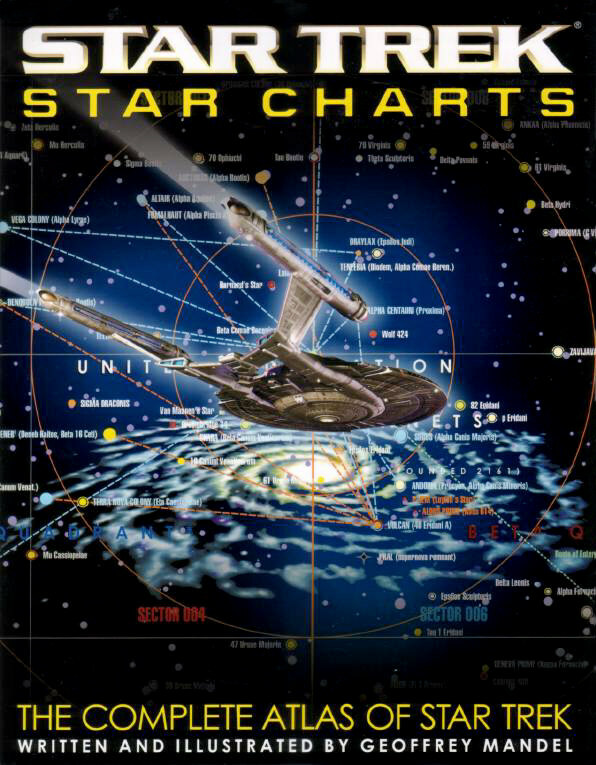 The book is not only richly illustrated but also competent, especially because it relies on the extensive research by Christian Rühl of Star Trek Dimension, who was the first to develop a workable Star Trek cartography. The quality of the drawings of the Star Trek Star Charts is both aesthetically pleasing and technically accurate, and this alone is a reason to buy the book. But it is definitely more than just eye-candy, as everything is supposed to make sense, from the voyages of Enterprise NX-01 to the route of Voyager. The real star classes are as skillfully presented as the conjectural planet classification system. Knowing that Star Trek authors have never really bothered about cartography and have changed distances and speeds just as it worked best with their stories, it is not possible that the book could explain away all the inevitable inconsistencies. But it comes up with some very good ideas like a much smaller extent of Federation space than previously thought, which goes along with most observations from the series. There are rather few definite errors, such as the completely wrong location of Talax, which was actually visited by Voyager in the first season. One more important point of criticism is that canon and conjecture is not really distinguishable. Clearly the positions of most stars are not definite, except for the ones that are also known to real astronomy. Without a little bit of speculation the book wouldn't have been possible at all. Still, I wonder if the author shouldn't have gone without some useless details like the completely made up names of Klingon star systems (which are for some reason all named for ships, or the other way round) and one or two arbitrarily made up civilization emblems which may easily be mistaken for canon ones (especially since many other planets are shown with their obscure but canon emblems). Overall, Star Trek Star Charts is not a completely reliable reference, something like which may have become too thin and boring. It is a well-researched and carefully supplemented secondary work, particularly enjoyable with its large foldout maps and beautiful planet renderings as highlights. Geoffrey Mandel, Star Trek Star Charts, Pocket Books, 2002. Little is known in canon Trek on the early history of the United Federation of Planets since its foundation in 2161. The various TV shows and movies don't give us a clear idea of how this interstellar alliance of Earth, Vulcan, Tellar, Andor and an increasing number of other planets managed to preserve peace and provide prosperity for everyone for more than 200 years. Fan fiction set in the era of the early Federation has an accordingly long tradition. Star Trek Enterprise (2001-2005) eventually showed the events that lead to the inception of the Federation. Still, there is a gap of more than a century that is waiting to be filled with history. This was the right job for David A. Goodman, who not only wrote for Star Trek Enterprise but who is also a self-confessed fan of the franchise. 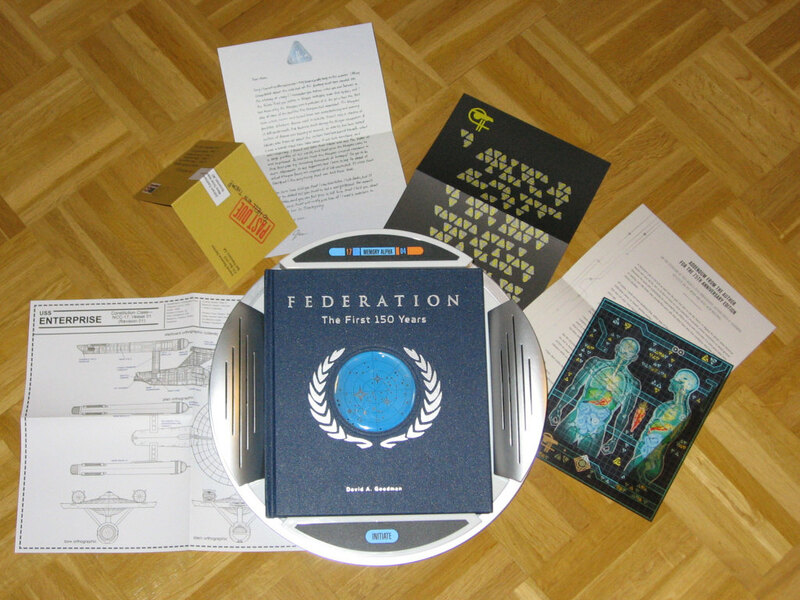 Star Trek Federation: The First 150 Years comes in a voluminous box. 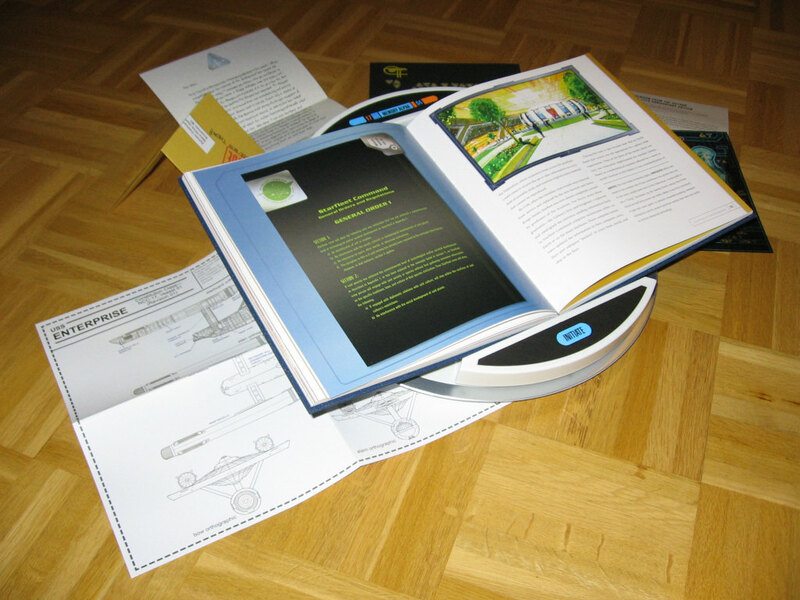 The set consists of a hardcover book, a number of "historical documents" in the form of loose sheets and a lighted pedestal that replays greetings from Admiral Hikaru Sulu. I admit I needed some time to warm to the latter, because I usually don't show off paraphernalia and I don't really have the desktop space for it left. I would probably have preferred to buy just the book, had it been available separately. On the other hand, I can understand that a high-grade collector's item calls for a special way of presentation, and it really looks good together. The book is broken down into a prologue on Cochrane's warp flight and its aftermath, which is followed by five chapters that span the history of the Federation from 2120 to 2311. Strictly speaking, the content of Star Trek Federation: The First 150 Years doesn't quite live up to the title, since half of the pages cover events prior to the year 2161. I wouldn't call that a shortcoming though. Especially the "Vulcan Stewardship" and the Romulan War are interesting chapters that tie in with canon facts. In the following we learn, among many other things, why the appearance of Romulans remained a secret for more than a century, how the Prime Directive was created, and for which other diplomatic failure Ambassador Robert Fox is to blame. One usual issue with novels or secondary reference works is that they add too many new people and events to the canon universe, up to a point that they create something like a self-referenced universe of their own. The other common problem is just the opposite, that the authors seem to be afraid of adding anything new, and they refer to canon events over and over again, as if Kirk alone had determined the Federation's course of history. Goodman, on the other hand, not only knows what he is writing about, he also finds a good balance between canon facts and his own additions. It should be noted that Star Trek Federation: The First 150 Years is entirely written from an in-universe perspective. It doesn't include real-world notes such as episode references, which makes it somewhat less useful as a book for fans who see themselves as researchers and also less accessible to people who are new to the franchise. Yet, I am sure that most readers will catch most of the tie-ins from canon Trek (as well as the tips of the hat to people from the real world and from other pieces of fiction), although they are not explicitly marked as such. Star Trek Federation: The First 150 Years includes a larger number of illustrations, many of which appear in the form of newspaper clippings and notable documents such as the peace treaty between Earth and Romulus or the Articles of the Federation. These insets not only lighten up the layout, they also give the book a semblance of authenticity, as if it were really written by a historian from the future. The same goes for the loose sheets that can be found in a pouch inside the back cover of the book. Since these are not really suited as posters (perhaps except for a transparent anatomical diagram of a joined Trill), I wonder why they are separate, other than insinuating that they are additional documents that were unearthed after the book had already gone into print. Most of the remaining illustrations within the chapters are drawn in an impressionist style (or went through an impressionist filter). While I would have liked to see some clearer images of people and places, I understand that this was done to maintain a consistent style (and perhaps to circumvent copyright issues with photos or screen caps?). As already mentioned, Star Trek Federation: The First 150 Years is not a reference book for Trek fans in the first place. Despite the high quality of the illustrations, of the graphical design and of the print I wouldn't call it an art book or coffee table book either. Well, it could have included posters for that matter. It can best be classified as a fictional history book of the Federation, written in the early 24th century and consisting of first-person accounts. This way David A. Goodman ties together the loose ends of this era of Star Trek in a competent and intelligent fashion and without becoming formulaic. I wouldn't go as far as calling Star Trek Federation: The First 150 Years a must-have for fans, but it is a quality collector's item that is worth its price (at least its reduced price of $59.99). David A. Goodman, Star Trek Federation: The First 150 Years, 47North, 2012. 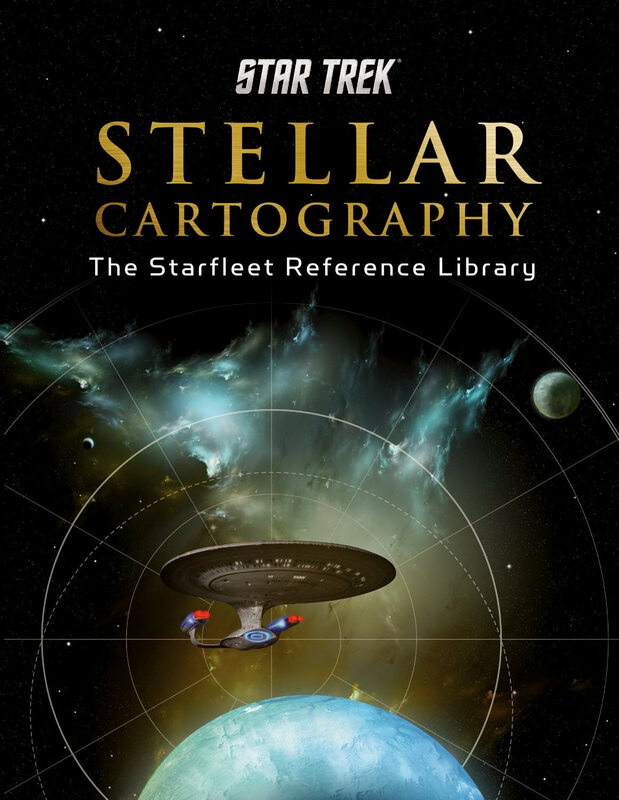 Larry Nemecek's Star Trek: Stellar Cartography: The Starfleet Reference Library is a follow up to the infamous Star Trek: Star Charts by Geoffrey Mandel, but it approaches the idea of mapping the Star Trek Universe in a very unique fashion. While Stellar Cartography draws heavily upon its predecessor for many star locations, it also provides updated locations for star systems from Star Trek: Enterprise and information pertaining to the Hobus Supernova from the film Star Trek (2009). The thoroughness of Mandel's charts makes any attempt at major changes unnecessary, so Nemecek adds his own twist to the project by approaching the star charts as works of art rather than just utilitarian navigational guides. 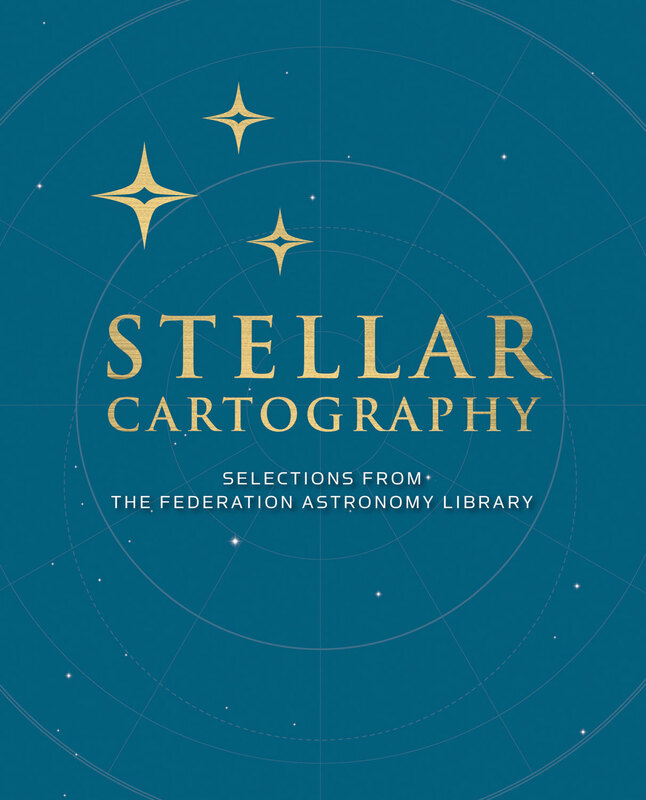 The book accompanying the star charts provides brief, yet insightful, descriptions of the maps and the history behind the cultures and conflicts portrayed in the charts. Most importantly, each chart is produced as a large, high-quality image that makes it perfectly suited as a resource or for display. The book kicks off with a chart of Known Space in 2387, but one that depicts the local powers through the view of an artist more than that of a cartographer. The watercolor-like strokes denote the borders between governments and fit perfectly with Nemecek's description of the fluid nature of international boundaries. The chart, painted by the in-universe character Rhiis Talee, also illustrates a key point from the first chapter of the book. The map clearly displays the confined nature of the regions controlled by the Romulans and Cardassians, and Nemecek theorizes that being surrounded by other powers was the root cause behind the poor resources of the Cardassian Union and the paranoia of the Romulan Star Empire depicted in the various Star Trek series. The second and third maps are of the Alpha and Beta Quadrants, respectively, and the supplemental chapters explain the nature of the local powers surrounding Federation space in the year 2387. Two locations of note are the Delphic Expanse from Star Trek: Enterprise and the Hobus Supernova from Star Trek (2009). Nemecek expertly explains how the distorted Delphic Expanse, described as being over 2,000 light-years across, could have been located so close to Earth in the 2150s without infringing upon Klingon or Romulan space. On the other hand, I was surprised to see the Hobus Supernova located farther from Romulus than I would have expected. However, its nature as a subspace wave of destruction could explain its rapid pace towards Romulus. I would have liked to see more details pertaining to Tholian and Breen space, but their limited role in the series and films (and of course, the lack of extensive canon descriptions of their territory) makes such an omission understandable. The next four chapters depict the territory controlled by the Cardassian Union in 2364, the Vulcan System at the time of Surak, the Klingon Empire in 2266, and the Romulan Star Empire in 2368. Each chapter provides a history of its primary species from ancient times up to 2387, as well as native script to imply that these works were created by natives of each government. The Vulcan map is an artistic representation of the system rather than a navigational map, and once again emphasizes beauty over functionality. It is interesting to see the Klingon perspective from 2266, as it includes territorial claims over several disputed systems, including Organia from the classic "Errand of Mercy" episode. 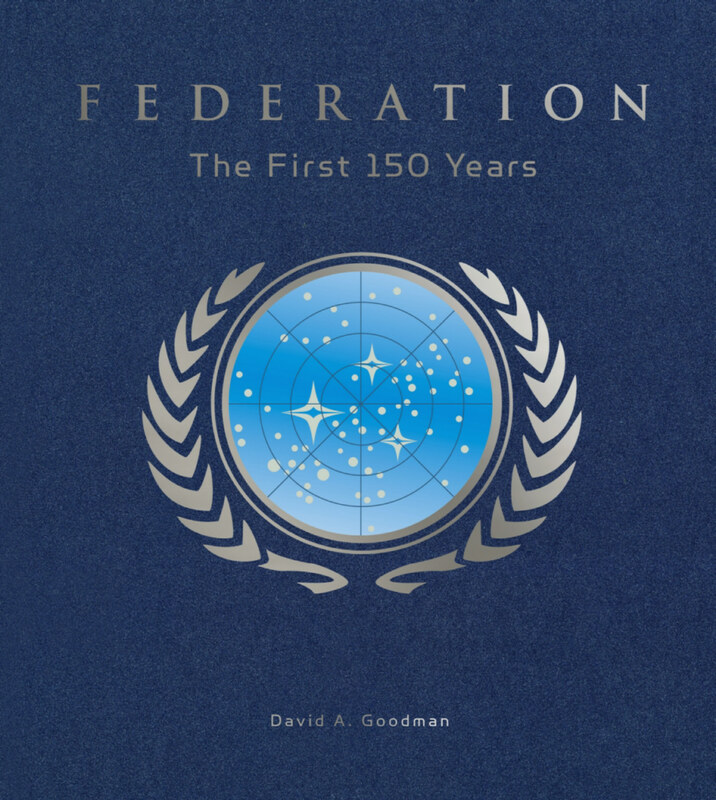 Correlating with the information provided in the text of Star Trek Federation: The First 150 Years by David A. Goodman, the eighth map shows a look at the strategic situation during the 22nd century's Earth-Romulan War. The map encompasses the primary region of conflict, ranging from Sector 001 to Romulan Space. 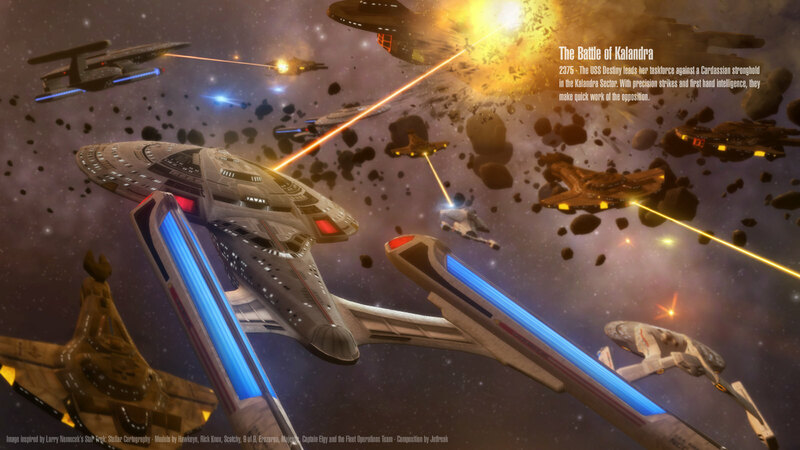 Several insets depict the tactics employed at several key battles, including those at Starbase One, the Sol Sector, and Cheron. These battle plans provide the reader with the feeling that they are experiencing the climactic struggles as they occur. Unfortunately, Star Trek: Enterprise was cancelled before these events could transpire, but an interesting take on how the war might have progressed is shown. A similar approach was undertaken with the chapter on the Dominion War, except in this chapter there were plenty of canon resources that Nemecek was able to bring to the table. Nemecek succinctly describes the major events of the two-year war, and a map of the main combat areas (Cardassia, Deep Space Nine, and other portions of the Alpha Quadrant) highlights specific battles such as Operation Return, the Second Battle of Chin'toka, and the invasion of the Cardassian system. The majority of the action was seen on-screen, but Nemecek extrapolates some of the strategic moves made by the fleets to fill in the gaps that Deep Space Nine did not. One of my favorite aspects of the Dominion War map is the portrayal of what is described as the "northern front" of the war - the worlds of Tyra, Bolarus, and Benzar. By tying together the various references from the series, Nemecek allows us to see the Dominion's overall approach to their invasion of the Alpha Quadrant. The flaw in using the term "Alpha Quadrant powers" to describe the Federations, Klingons, and Romulans throughout the Dominion War story arc. 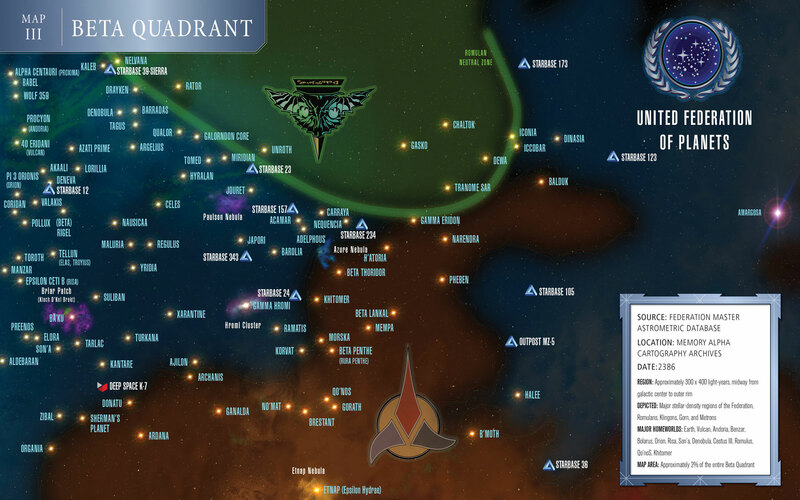 Although the Cardassian Union, Breen Confederacy, half of the Federation, and most of the battles occurred in the Alpha Quadrant, it is clarified that territories claimed by the Klingon Empire and Romulan Star Empire (as well as the other half of the Federation) are located in the Beta Quadrant. Between the chapter on the war and the map, an excellent summary of the two-year struggle has been provided. The tenth and final map is another representation of local space, except this time the focus is on the history of the Federation. The current boundaries (as of 2387) are shown, and each Federation member world is highlighted. 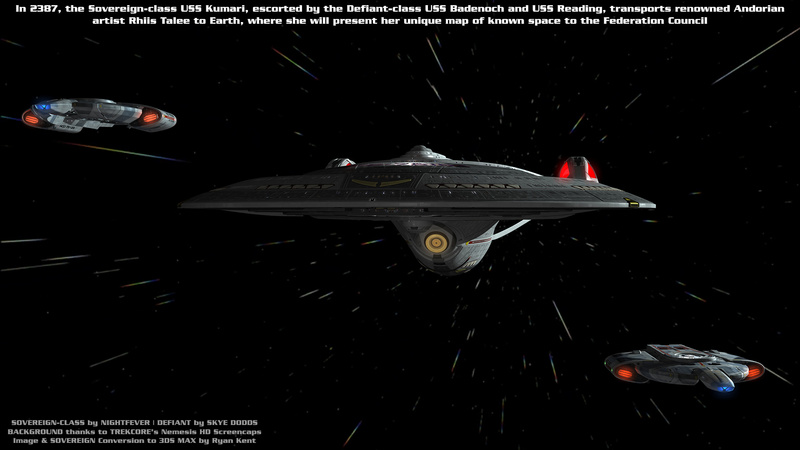 The original boundary of the United Federation of Planets is shown, as well as historical ship routes and battle lines. The locations of ancient cultures, such as the Tkon, Debrune, and Iconians, are also pictured in the map. The Delphic Expanse region is highlighted, and there is even an symbol representing the position of Starbase Vanguard from the popular Star Trek: Vanguard series of novels. An inset on the final map illustrates the position of the Federation within the Milky Way. This small section is the only one to depict Dominion Space and the Delta Quadrant. Both regions were explored in Star Trek: Star Charts, but I was hoping to see an expanded look into these areas in this volume. However, little about Dominion Space was ever described in Deep Space Nine. As for the Delta Quadrant, Nemecek was constrained by the route USS Voyager took home, so any attempt to map other areas would have been in vain. Also, many of the more interesting alien species and governments (the Devore Imperium, Vaadwaur Remnant, Annari Empire, Lokirrim Authority, and the Hazari) only appeared in a single episode, so it would be impossible to determine their exact borders (although the Devore Imperium is included in this edition). So it is understandable that the Dominion and Delta Quadrant were only featured in the final map. In addition to analyzing the content of Stellar Cartography, I feel it's also necessary to describe the quality of the packaging and of the maps themselves. The entire ensemble is encased in a sturdy container, with special slots to store the maps. The book that describes each map also has smaller (yet still legible) renders of the maps to which they correlate. The maps themselves, to put it bluntly, look spectacular. 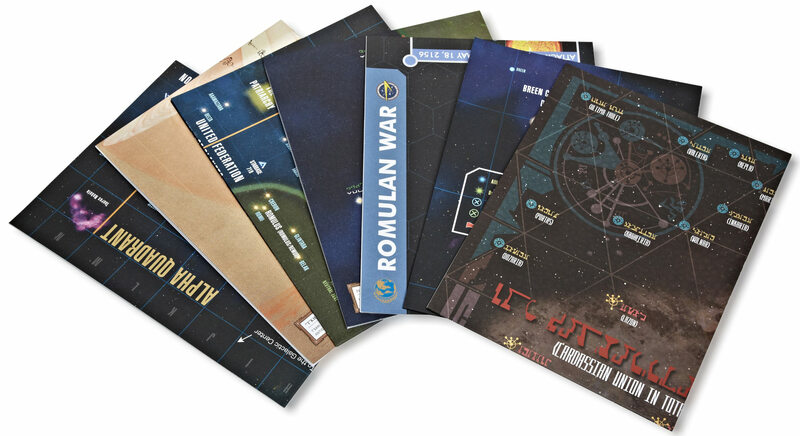 Their large size is perfect to hang them as posters, and their thoroughness is well-suited to following along with the action from the various Star Trek shows. The images are tremendous, from the artwork of Known Space and the Vulcan System to the political maps of the local powers. These superb attributes serve to make Stellar Cartography even more impressive. 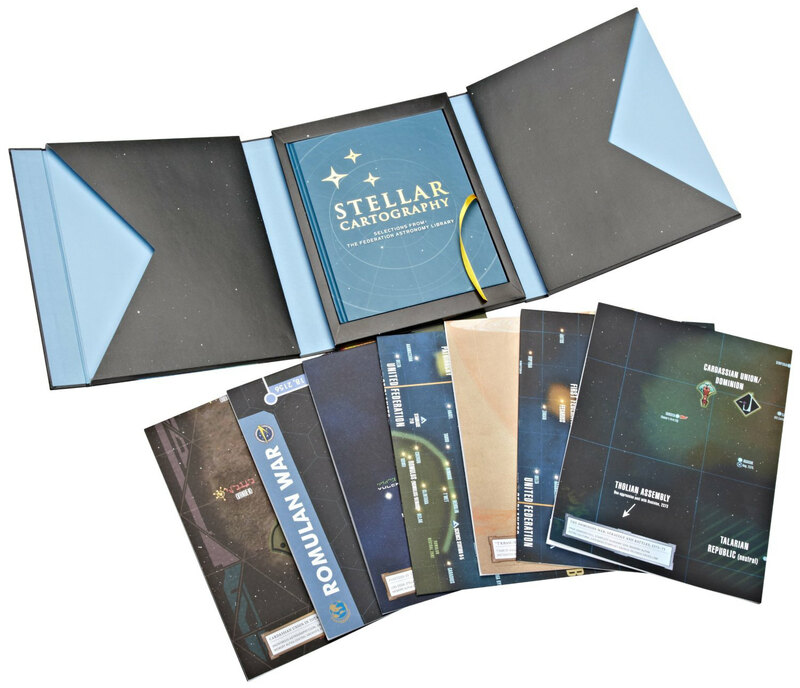 Star Trek: Stellar Cartography succeeds in its goal to update the Star Trek: Star Charts and present a series of visually stunning maps. Some readers may be disappointed with the lack of new information pertaining to the Dominion and Delta Quadrant, but Nemecek expertly walks the line between citing canon and extrapolating on-screen evidence in order to put together a comprehensive resource. If he had attempted to expand on the information from the shows too much, many fans might have been upset about the maps drifting too far from canon sources. Personally, I would have liked to have seen the technology Voyager acquired (transphasic torpedoes, information that could lead to a viable slipstream drive) and potential new Federation member worlds addressed, but Nemecek rationally stuck as close to canon as possible. Other than that minor point, I'm very impressed by Stellar Cartography and enjoyed both the book and the maps. The content is well-thought out, the maps look incredible, and the entire ensemble was compiled by one of the most respected scholars of Star Trek knowledge. Hopefully we will be able to see more releases by Nemecek in the near future. In 2387, the Sovereign-class USS Kumari, escorted by the Defiant-class USS Reading and USS Badenoch, transports renowned Andorian artist Rhiis Talee to Earth, where she will unveil her unique representation of Known Space to the Federation Council. 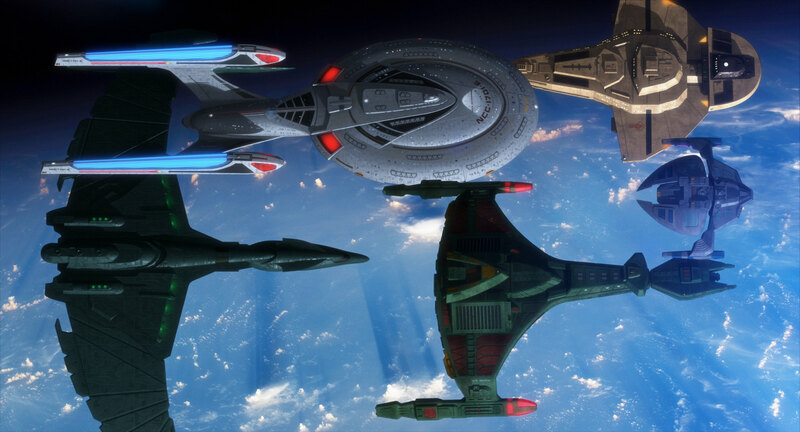 (image by Ryan Kent) While Starfleet continues to build advanced exploration vessels, such as the Intrepid-class USS Voltaire and USS Bismarck, older vessels like the Excelsior-class USS Kiltane and USS Wolfhardt continue to be refit and remain in service as of 2387. In the twelve years of peace following the conclusion of the Dominion War, the Federation has sought to turn former adversaries into allies. The USS Enterprise-E, flanked by the Akira-class USS Theseus and USS Somme, orbits Betazed along with two Son'a battlecruisers as a peace summit between the two nations is conducted on the planet's surface. (image by Michael Wiley) The Klingon Empire also sends the Vorcha-class IKS Lerakan, IKS Kri'stak, and IKS Grevang to search for uninhabitable systems beyond the rimward border of the Empire. With intelligence on enemy ship deployments provided by Garak, the Sovereign-class USS Destiny leads elements of the Seventh Fleet, including the USS Rettig (Nebula-class), USS Windsor (Galaxy-class), USS Euripides (Intrepid-class), and USS Bashore (Akira-class), to a decisive victory over Cardassian forces in 2375. (image by Jetfreak) In the years following 2387, how could the Milky Way's political landscape change? What alliances will be formed? The Romulan Star Empire, United Federation of Planets, Klingon Empire, Cardassian Union, and Dominion working together? In 2388, the Romulan Valdore-class IRW Velarus, Federation Sovereign-class USS Enterprise-E, Klingon Vorcha-class IKS Greltar, Cardassian Galor-class CDS Lenarek, and Dominion Fighter-class DGV Reklan'itar fly in formation during a joint mission. Larry Nemecek, Star Trek: Stellar Cartography, Becker & Mayer, 2013. Map illustrations by Geoffrey Mandel, Ian Fullwood, and Ali Ries. This is a classic. 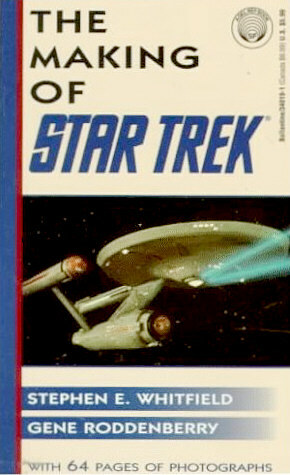 It is the first book of its kind, and probably the first book ever written about Star Trek. But The Making of Star Trek is much more than any of the later books with similar names. This book doesn't glorify or simplify the making of the series. It doesn't enthusiastically praise everything and everyone involved in its production. It is an authentic and meticulous report on how TOS in particular and a TV series in general comes to life. It shows that it is a process of try and error, that aspects have to be taken into account the viewers wouldn't think of, and that the responsible persons don't always know exactly what they want ("I need some device that does something..."). The story how Stephen E. Whitfield (aka Stephen E. Poe) asked Gene Roddenberry if he could write a book about the series sounds like a fairy tale, but is true. The Great Bird was very forthcoming, and Whitfield was granted access to everything behind the scenes of the still running show, seemingly without any restriction. The book shows production schedules, budgets, private notes, script drafts, production sketches, all things that are usually kept secret or edited for a larger public. I don't think that something like this would be still possible today. Compared to The Making of Star Trek, Whitfield's last book (he passed away in 2000) on Voyager seems rather superficial. The Making of Star Trek may be over 30 years old, but it is of more than only historical value. It demonstrates that TV is a business that sometimes doesn't allow technical or artistic perfection. It also shows how many things we may take for granted and that are essential parts of the Star Trek Universe today have taken a rather surprising course change. Who would like Vulcans with names like "Spook, Spork, Splak, ..." as frequently suggested in the early days, or who would think that one race was originally described with the words, "Honor is a despicable trait. ", namely the Klingons? Stephen E. Whitfield, Gene Roddenberry, The Making of Star Trek, Del Rey Books, 1968. This is a fantastic coffee table book with sketches and photos of story boards, costumes, props, sets and starship models from TOS to Voyager. All images are in high quality, and some of them are in full-page format. The Art of Star Trek is almost like seeing all the stuff with one's own eyes at an exhibition. The most fascinating are the shots of starships in space, especially of the Enterprise refit, with a better resolution than on screen. What I love too is the close look at the many props from tricorders and phasers to exotic alien devices. As perfect as they look on screen, as simple is their construction from wood or plastic. The Art of Star Trek is an art of illusion, but I don't think that the knowledge about its true nature could ever spoil the fun. On the contrary. It is also interesting to see how the techniques have changed since the time of TOS, not only with the introduction of CGI. On the other hand, many things essentially remain the same, like the already mentioned fabrication of "primitive" props. The text doesn't play as great a role as in other books, but is competent and is just sufficient to guide the reader through 30 years of the Star Trek Art Department. Only the captions are sometimes too scarce. Most of the aliens and their devices remain unnamed, although in many cases they were supposed to be someone or something specific. Another minor point is that I would have wished some more images of finished items as they appear on screen. The way it is, the concept sketches slightly dominate the book. On the other hand, it is nice to see a development from the sketch to the final version. The Art of Star Trek is a fascinating look behind the scenes for fans with a lot of fun. I was happy to purchase it for only a third of its list price. Now that I know it better, I would gladly have paid much more for it. Judith & Garfield Reeves-Stevens, The Art of Star Trek, Pocket Books, paperback, 1997. This book is something special in that it combines the usual prose of a "Making of..." with a wealth of large-size images and illustrations as well as a detailed guide to the seven seasons of TNG. 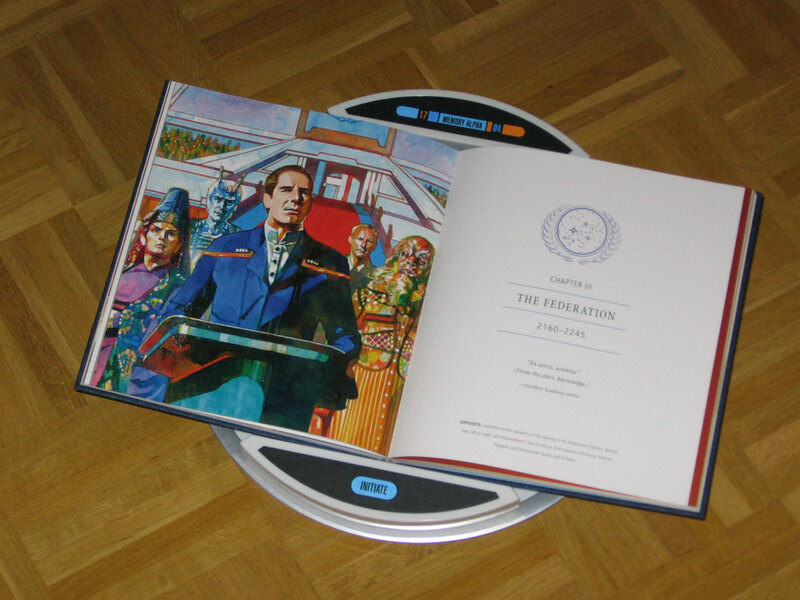 Included are sections on "Generations", "First Contact" and, in the newest edition, "Insurrection". Although some of the images are already known from The Art of Star Trek, this is another great look behind the scenes. 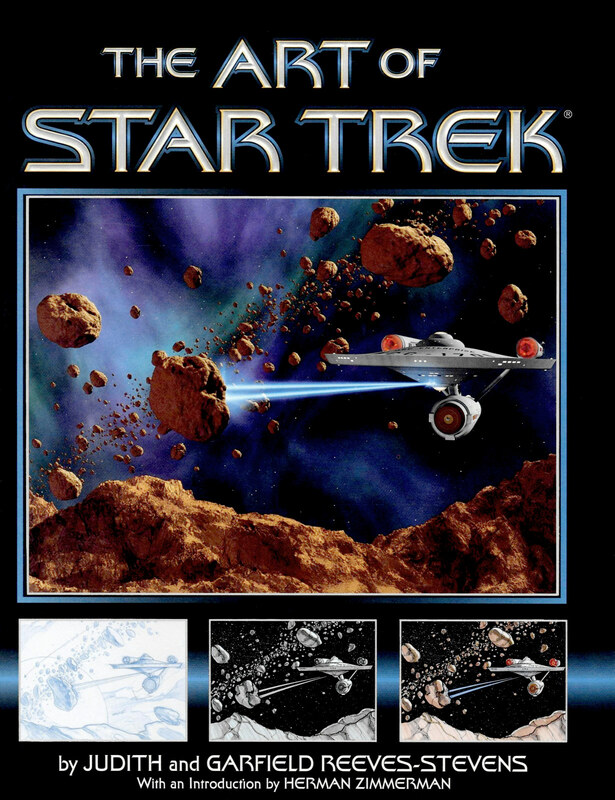 More than the rather loosely arranged images in The Art of Star Trek, this book really tells the story of a series that is developed through seven seasons. 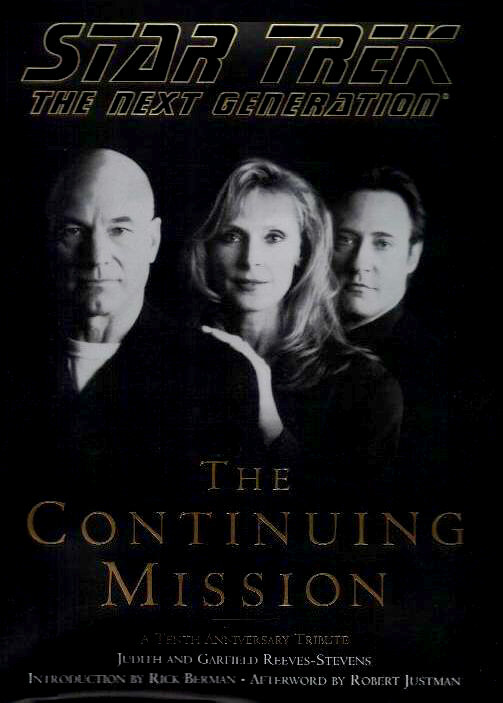 The Continuing Mission is probably the best book about TNG with all of its aspects. It was obviously written to be entertaining in the first place, so it never gets too profound. Nevertheless, we learn a great deal, for instance, where Guinan's name comes from, how many writers mingled together the script for "Yesterday's Enterprise", or how a shuttle may become a big starship. The only slight criticism I have about it is that the text is mostly separate from the images. Although there are captions, I would have liked to know more about several of the images. The sub-title of the book is "A Tenth Anniversary Tribute", and it is a worthy tribute in this respect. Judith & Garfield Reeves-Stevens, Star Trek: The Next Generation - The Continuing Mission, Pocket Books, updated edition, 1998. Of all periodicals about Star Trek, Star Trek: The Magazine is the most comprehensive and most important one. This is for once because the monthly magazine has very close ties to Paramount. Everything presented here is not only licensed (which merely means that a company may use the name "Star Trek ®"), but acts as an official medium for first-hand information and announcements. Star Trek: The Magazine, quite unlike the Star Trek Fact Files to which it is often compared, is not meant as a strictly canon database that lists everything that ever appeared on screen. On the contrary, about 60% of each issue deal with the real world, like news about the franchise, behind-the-scenes reports, interviews with actors and reader letters. I miss all this in the Fact Files. What I like even more about it is that Star Trek: The Magazine shows that Star Trek is a community and not just a one-way communication from company to customer. It is obvious that with this approach the extent of information, especially for the "technical briefings", needs to be restricted to certain topics of common interest. The selection of topics is rather arbitrary, of course. This is why not every issue is equally exciting. On the other hand, Star Trek: The Magazine reacts much faster on new episodes than the Fact Files (most obviously on Enterprise), so their coverage is often more interesting because more recent for most of the fandom. It is hard to find a specific piece of information in a pile of magazines. Well, the contents on the covers make it a bit easier. One major point of criticism is that there are many images in Star Trek: The Magazine, but most of them fill only the sixth of a page and, moreover, are very blurred. Actually, standard resolution screen caps are usually better than most of the images. Only the CGI images and drawings are always of superb quality, if only many of them had not a page fold right through the middle. Something I would never want to miss is the background information about actors, writers, producers and the people in the Art Department. They are the one who make Star Trek, and to me it matters a lot what their work looks like and what they think about their work. Star Trek sometimes looks very different from their perspective, and this is especially interesting for someone who just can't get enough of it. I have only one problem with this part of the magazine. I know that's Hollywood, but I always find it strange if people praise themselves and each other in every respect and describe just everyone and everything as "exciting, amazing, cool...". Where something in the course of the production went wrong or time and money was wasted or people are known not to get along with each other, they still make a nice anecdote of it. I like reading the articles, but a bit more self-critical attitude would suit the magazine better. On the other hand, the positive coverage may be necessary because it is an official publication. The price of Star Trek: The Magazine is comparably high, especially if we consider that there are advertisements and that also a few pages of the actual content are dedicated to promote merchandising items. Compared to the Star Trek Fact Files, however, each issue of Star Trek: The Magazine has about four times the content on over 100 pages for a bit more than twice the price. I think that those who live in North America are lucky to have this magazine. There is much additional stuff in the weekly Fact Files, but only a rather small part of it is relevant, and it comes at high costs. Star Trek: The Magazine, created by Midsummer Books Ltd. The Star Trek Fact Files are much like the European and Australian surrogate for Star Trek: The Magazine, which isn't available here. The Star Trek Fact Files appear on a weekly basis. Although some of the material is the same, they have a quite different, more stringent concept. 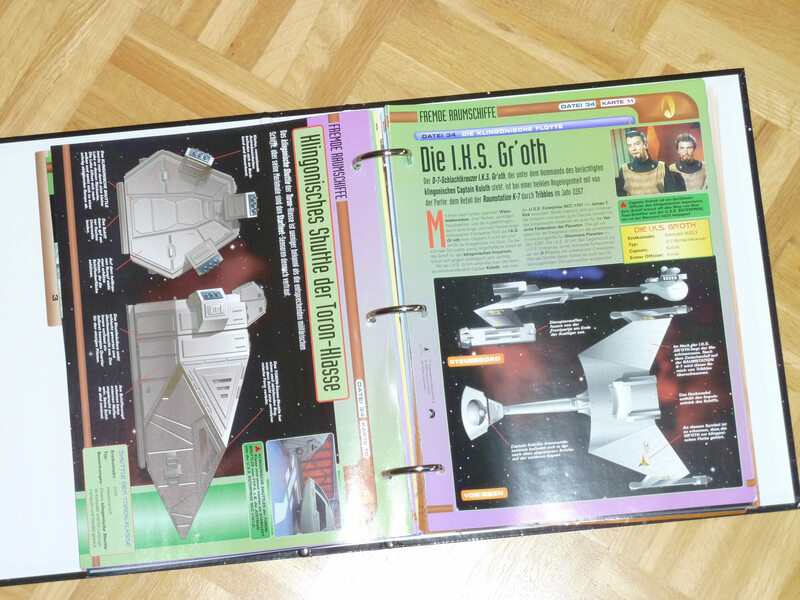 As the name says, everything is arranged in sheets, which have to be filed in folders, resulting in a complete, searchable and extendable collection of Star Trek information. About every 20th issue comes with a new folder for that purpose. 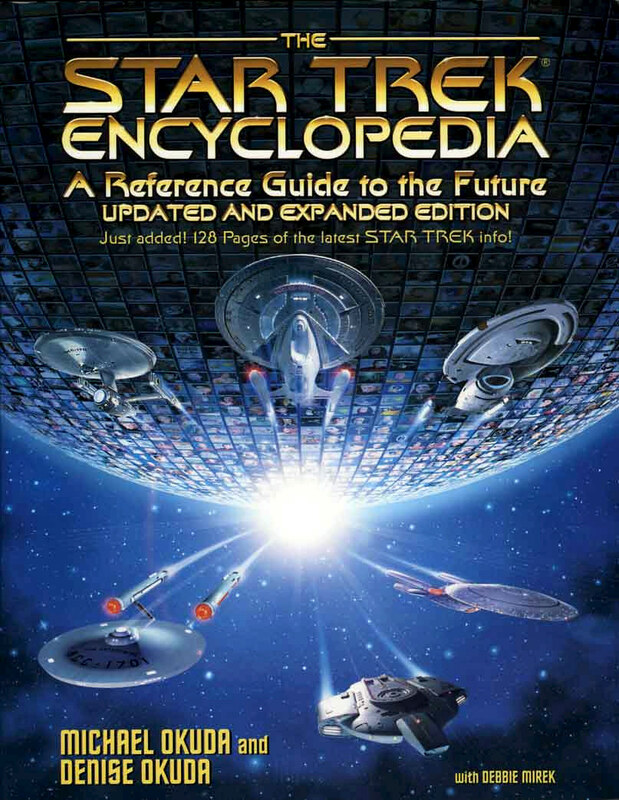 The main sections are dedicated to general information (about races and planets), Starfleet and its ships, alien starships, characters, technology and devices, episodes and, finally, an A-Z Encyclopedia. The big advantage over the ST Magazine is that everything is rather easy to find in the Fact Files. At least, looking up a personnel or starship file in a certain folder is much faster than sifting through a huge pile of magazines to find the same (provided that it was already covered in the ST Magazine at all). As a collection of data on the fictional Star Trek Universe, the Fact Files was more complete after a year or so than the ST Magazine with its limited coverage could ever be. On one hand, it is pleasant that there are no advertisements of any kind and none of the sometimes annoying quasi-ads about merchandising articles (that are lacking any critical distance in the ST Magazine). The true fan, on the other hand, will be sorry that nifty background information is completely missing in the Fact Files. Star Trek, as presented in the Fact Files, is not a TV series, but something that really takes place in the far future. There are no actors, no writers and producers, no sets and props and no special effects, but only strictly canon in-universe facts. There are not even side notes of the kind of the ST Encyclopedia or the TNG Technical Manual. Going through the Fact Files, I really have the impression that I'm missing half of the truth, and that the makers of the series, as much as they celebrate themselves in the ST Magazine, don't get their deserved credit in the Fact Files. Especially for long-time fans the Fact Files provide few facts to make up one's mind. Another point of criticism is that the Fact Files are becoming increasingly redundant. 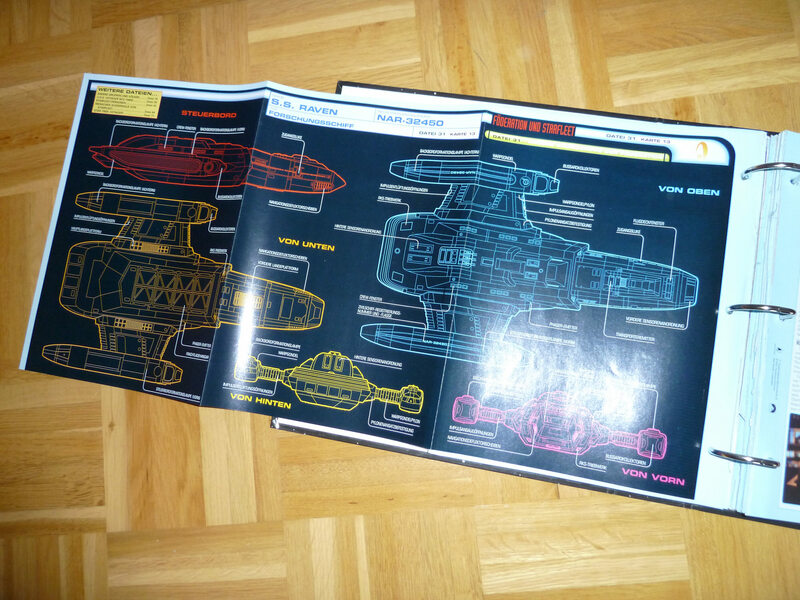 Every single file (only some of them have fold-outs for larger images of starship exteriors or interiors) consists of exactly two pages that have to be filled with text and images (the latter usually of a quality that doesn't make them worth scanning). This is why sometimes scarce information on a subject has to be inflated to texts that repeat themselves or digress to something completely irrelevant. Many of the files actually have a true information content that could be expressed in two or three sentences. The images are usually chosen very well, but of just too bad quality to catch my interest. I wish there were much fewer but larger images. A typical example of a file with much redundancy is the five files (so far) on Starfleet Academy, a topic that could easily be covered on a single page. The redundancy within the character files is even greater. It seems the authors are always making up new topics of the kind "Kirk and the women, part VI". Moreover, many files in different sections have essentially the same information. The Fact Files with its redundancy may be well researched, and there are rather few errors in it, considering its large extent. On the other hand, there is rather little additional information compared to the sum of the Star Trek Encyclopedia, the TNGTM and the DS9TM, which all combined cost only a fraction of the Fact Files. The Fact Files have much more precise information about what exactly happens in each episode, but all the essential facts (as characters, planets or ships are concerned) are already known from the other publications. If I were to name anything that can be found exclusively in the Fact Files (and which may be available some day in the ST Magazine too), I could only tell of the large starship schematics (especially of the alien ships) and the drawings of bridges and other sets. They are great, but they alone don't justify the relatively high price, especially since one is supposed to buy them all. There are one or two interesting files in each Fact Files issue, and ten that I file without even reading them. Something I don't like either is that the Fact Files are useless as a source of quotes. The main text doesn't have any references, episode names are mentioned only occasionally. It is very hard to verify their information. As I said, they are usually right, still, some errors and misconceptions were directly taken from other reference books, although it seems the Fact Files authors have reviewed all the episodes. Summarizing, the Fact Files is a nice collection of data. The ST Encyclopedia is much less expensive as a reference book (not to mention Memory Alpha in more recent years), and there are much better sources for pictures (coffee table books and internet). What makes the Fact Files special is that every topic is exhaustively covered, and it's the print publication with the most canon information ever carried together. Another advantage of the Fact Files over any other reference is that it will not become dated, but one has to pay quite a lot for that. 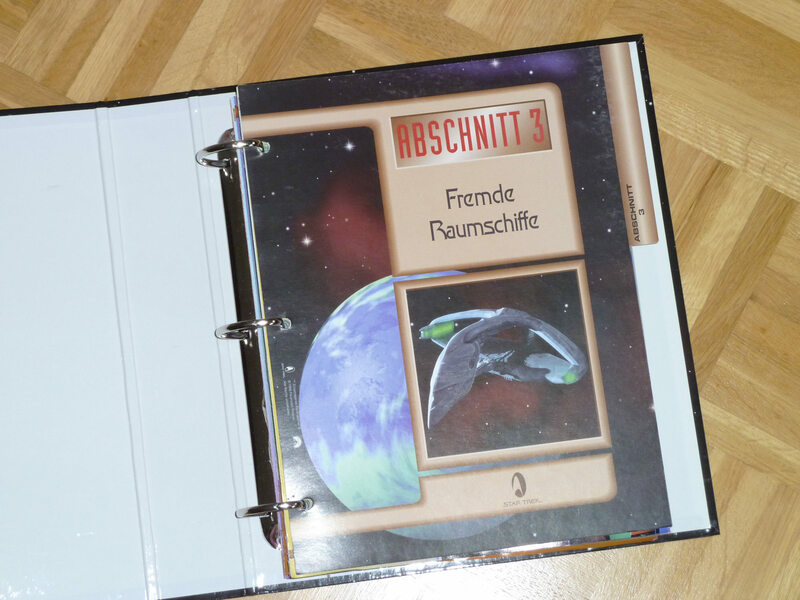 Star Trek: Die offiziellen Fakten und Infos, developed by Aerospace Publishing Ltd., London, distributed by GE Fabbri Ltd., deutsche Fassung Thema GmbH, München.